Eight great games for the price of one! Play football on one side and baseball on the other! 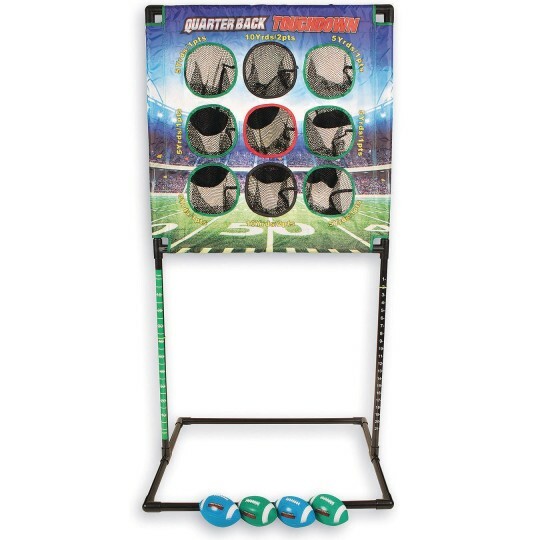 Exciting indoor/outdoor toss game with a reversible target! Play football on one side and baseball on the other with a total of 8 game options! 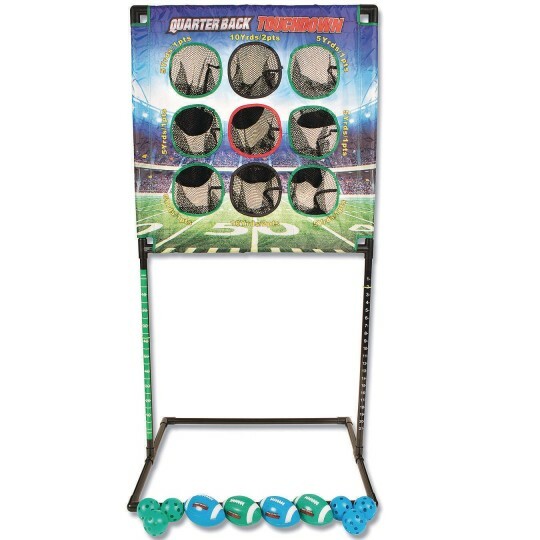 Includes a durable, easy-to-set-up frame where most of the connection comes pre-glued, 4 mini footballs, 6 plastic baseballs, a portable carrying case, and in-depth instructions for each game. Assembled target measures 31”W x 62”H x 22”D. 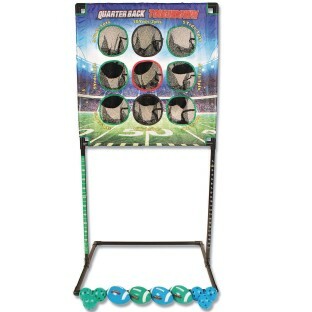 I bought this football toss game for our outdoor Easter Festival as part of an array of lawn games as children were waiting their turn to enter egg hunt. 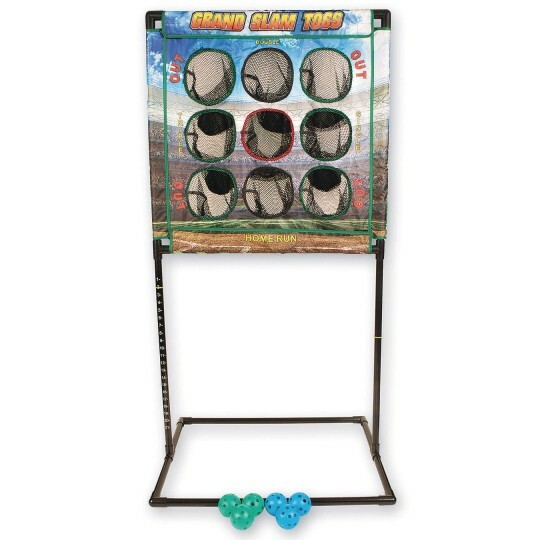 This was the perfect addition to our lawn games! It was super easy to assemble and has a great carry case. Best of all it is good for all ages from 3-high school as the netted holes are of varying heights and kids could stand at varying distances to play.